The Apple iPad Air is scheduled to start shipping this Friday in 41 countries, but that didn’t stop many reviewers from getting their hands-on the device to review it. However, he notes that the changes Apple has made for the new iPad are “incremental, not revolutionary” and questions the need for someone to upgrade if he/she already has an iPad. In particular, he is appreciative of the battery life, the lighter weight which makes the iPad Air more comfortable to hold for long periods, and how it is “noticeably faster” than previous iPads. In my tests, the iPad Air far exceeded Apple’s claim of 10 hours of battery life. For over 12 hours, it played high-definition videos, nonstop, with the screen at 75% brightness, with Wi-Fi on and emails pouring in. That’s the best battery life I’ve ever recorded for any tablet. The iPad Air makes the argument anew that there’s still room for big tablets in people’s lives, and it might just help usher in an era of computing where households own more than one kind of iPad, and PCs are harder and harder to find. The iPad is not computing dumbed down; it is powerful computing simplified. And simple solutions require sophisticated technology. 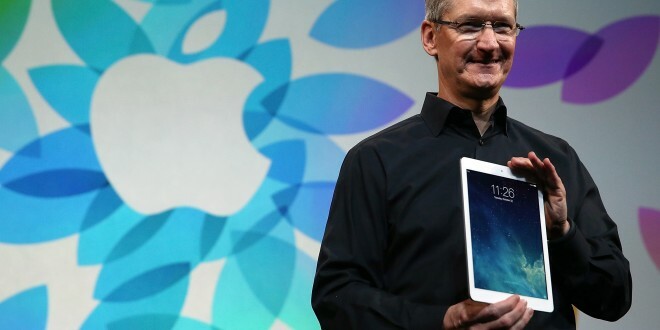 That is exactly what the iPad and the new iPad Air is–powerful computing. For many consumers the iPad Air will be the most empowering personal computer they have ever owned. It’s very hard to describe how good the iPad Air feels in your hand without actually picking one up. It’s kind of like the first time you saw a Retina display for the first time—shock. In summary, Stevens says that the iPad Air “delivers more performance and comparable battery life in an attractive and impossibly thin-and-light package.” He describes picking up the iPad Air as a “wow” moment, and that he is a big fan of how the new iPad looks and feels now. However, he laments the fact that the Touch ID fingerprint scanner, which was rolled out on the iPhone 5s, is absent in the new iPad — and that the iPad Air is still expensive compared with the competition. Molen says Apple’s latest iPad is “ridiculously small and light compared to previous models” and concludes that the “iPad Air is the most comfortable 10-inch tablet we’ve ever used.” He also acknowledges how fast the iPad Air is, especially when it involves intense, processor-heavy activities such as games or the use of iMovie. Not every manufacturer can produce a thin and light device without also making it feel cheap or flimsy, but Apple nailed it. Factor in a sizable boost in performance and battery life, and the Air is even more compelling. The last two iPads served up relatively few improvements, but the Air provides people with more of a reason to upgrade or even buy a tablet for the first time. Molen makes an interesting observation in his review as well: the backside of the iPad Air didn’t heat up as much compared with its predecessors, even after Engadget taxed the processor for an extended period of time. Its light weight and thin form mean it gets out of the way – you don’t notice it, but you notice what you’re doing on it. That, potentially, unleashes a new generation of tablet-based productivity. The fact that Apple is now giving away even more software means that perhaps the rebranding is, therefore, more than simply a marketing exercise. Air may yet be the oxygen for a new wave of uses for the iPad. FBI File Reveals Steve Jobs's True Character ? Amanda Rosenberg - Google Sergey Brin's New Girlfriend? 76% of Smartphones Sold in Japan are Apple! Next: Man Killed on Final Pizza Delivery! Sanke Found on Qantas Boing 747 Plane! How to find out my lost Mobile phone?